Not the swinging they have in mind. Three solid performances aren’t enough to lift Breathe In above its triteness and well-worn subject matter. With a restrained approach in portraying the decay of a stereotypical family on autopilot, director and co-writer Drake Doremus positions his film as high-minded, but there’s nothing here that’s enlightening. When we see the trapped husband and father, and learn his family will be hosting a female foreign exchange student – whose age of 18 is overemphasized – we know what we’re in for. While Breathe In avoids the grandiosity of extramarital affair potboilers, its attempt at pensive character study only serves to illuminate the shallowness of its melodrama. It’s a tired thriller without the thrills. 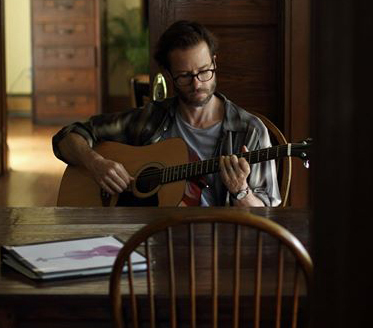 Keith Reynolds (Guy Pearce) lives in a comfortable home in upstate New York where he works as a music teacher at the local high school. 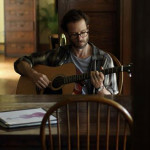 While he seems to be good at it, he longs for the good ol’ days when he played guitar in a band and dreams of earning a cellist chair in an orchestra. If he lands the gig, he wants to move the family back to the city, which his pragmatic wife Megan (Amy Ryan) dismisses as too expensive. British exchange student Sophie (Felicity Jones) comes to stay with the family and stokes the flames of Keith’s repressed desires. There’s an instant connection shown in wistful glances at dinner and in Keith exploring the contents of Sophie’s suitcase, which include cerebral novels and sheet music. The pair senses the hazard in their relationship, but allow their feelings to blossom without directly addressing them before it’s too late. Sophie encourages Keith and placates him in ways Megan doesn’t, and before long the couple plans to start a new life together. The fantastical notion of running off together is properly shown as impulsive and impractical, but it’s too clichéd and stale to feel as uncomfortable as it should. There’s no evidence of consummation, only protracted flirting that ends with hand-holding and near-kisses. The only time the couple shows affection out in the open, they’re discovered by Keith’s teen daughter Lauren (Mackenzie Davis) via an obtuse method, which is common throughout the film. In an early cameo as Keith’s friend, Kyle MacLachlan only shows up to notice how good Sophie looks in her bikini and to tell Keith, “Too bad we’re married.” Megan’s fond of collecting cookie jars, which is convenient because they can be smashed during fits of rage and also bluntly remind us that her husband metaphorically gets caught with his hand in one. Keith’s circular glasses, stubbly beard, and collection of flannel shirts are broad reminders of his scholarly nature and bottled-up cravings. Functional but wayward daughter Lauren has a drinking problem and an infatuation with a classmate that reveal her distant-daddy issues. You get the idea. 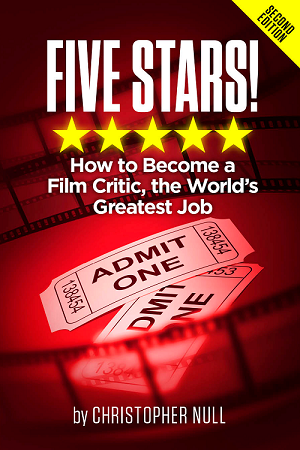 Even with the dull generalizations, solid work from Pearce, Ryan, and Jones lend occasional credibility. Ryan in particular does a lot with an underwritten role, effectively using rote, casual comments to convey her disagreeable nature while still sounding pleasant and reasonable in her attempts to maintain her mundane marriage. Pearce and Jones are able to find authenticity in staid dialogue and situations that repeat the same basic sentiment – “I like you, you like me; we’d be better together” – over and over. Instead of a slow burn to arrive at a universal truth, Breathe In is a belabored exercise that literally leaves us in the same place we began. Sure, there’s more context in the closing bookend, but the journey through the infidelity minefield doesn’t paint a particularly edifying portrait.